Since no two Christmas budgets are exactly alike, it’s ultimately up to you how much you spend on gifts, travel and holiday gatherings. But one thing we can all agree on is that we want our Christmas cheer to go as far as it can! It all starts with an easy-to-use budget! If you’re budgeting for the first time, or simply trying to get your money back on track before the holidays hit, we’ve got you covered. After you make a budget, use these tips from EveryDollar budgeters to get the most out of your holiday cash. I love to create handmade gifts for as many people as possible. It makes it more personal and I can work on things in the evenings when the kids are in bed. Only three gifts each in this house! It makes shopping easy, plus it’s the same amount baby Jesus received. We like to do four categories of gifts: something you want, something you wear, something you need, and something to read. It keeps things simple and functional. Thanks to EveryDollar, we found our Christmas money in our December budget without even having to save up for it! We’re taking a family trip instead of buying presents for our immediate family. Looking forward to it! 5. Live by the list. Make a list and do the shopping a little at a time. Avoid impulse buys and don’t buy yourself anything if it’s not in the budget. 6. Shop as you save. I shop throughout the year so I can take advantage of sales. I also budget $25 a week throughout the year for Christmas. That works out to $1,300 for Christmas. 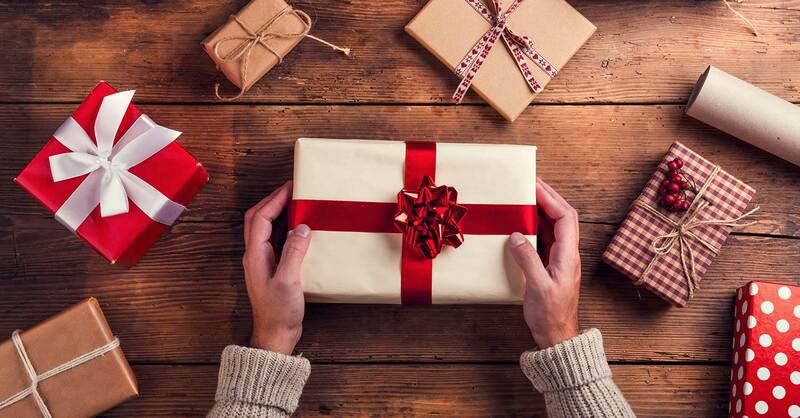 Budgeting every month allows me to take advantage of great sales all year long, ensuring higher quality gifts for less money than if I waited and had to pay full price closer to the holidays. This allows me to eliminate stress, have fun, and focus on my family instead of shopping in December. Budgeting isn’t just a Christmas thing. It’s an all-year thing. And the best part about making a monthly budget is you can find extra cash to stash for holiday gatherings, summer vacations, or whatever you want! Get started now, and keep up the money-saving work into the New Year!